Here in the Pacific Northwest, chefs, bakers and wine-makers share their love of Oregon hazelnuts in unique and delicious ways. We like to call them our “year-round heroes of hazelnuts.” Meet Our Newest Hazelnut Hero: Jami Curl of QUIN Candy. QUIN Candy, a small-batch, handmade candy company, has garnered the support of passionate candy fans all across Portland. Tuck ed between Southwest Stark and Burnside, QUIN Candy offers everything from Cherry Cola Gumdrops to Root Beer Old Fashioned Candies. Our favorite? 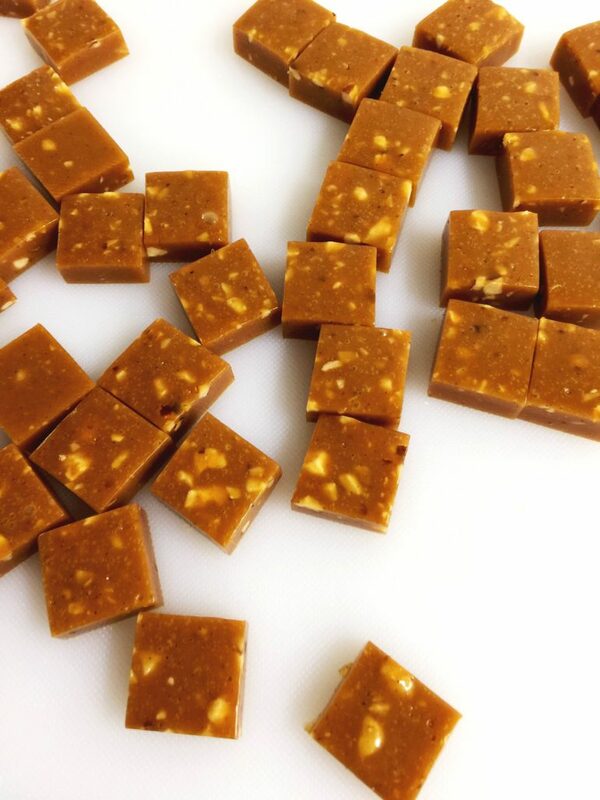 Oregon Honey + Hazelnut Caramels. Why do you like using hazelnuts? I think hazelnuts and caramelized sugar go perfectly together. The deep, earthy flavor of the nuts combined with caramel results in something that is so layered with flavor. And the texture that hazelnuts provide is just so perfect – when they shatter slightly as you bite down? It’s one of my favorite eating experiences. What do you like most about the flavor, texture etc.? Of all the nuts there are to love, I really do truly adore the hearty texture of a hazelnut. Of course, they are great whole, but chopped! Hazelnuts hold up. It’s not like eating a shard of a nut- they are hearty bits, and that’s exactly what we’re looking for in our hazelnut and honey caramel candies, for example. Could you share any insight into the process on how you invent new candy creations – and what typically makes you turn to hazelnuts? Just as hazelnuts work well whole and chopped, they also work super well when they’ve been turned into a butter or paste. Mixed with caramel or chocolate, the outstanding hazelnut becomes something even more delicious. 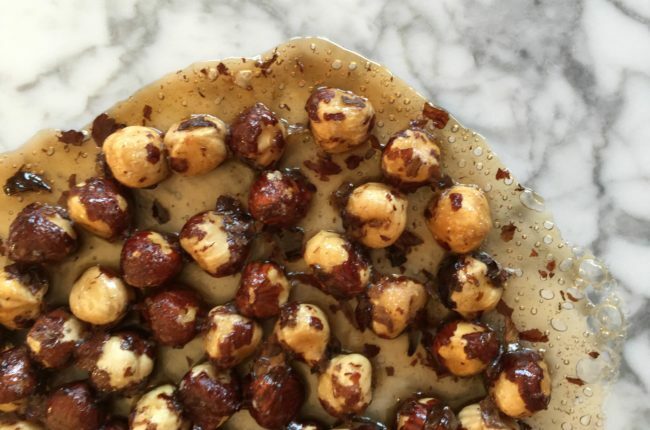 The fact that hazelnuts can be used so many different ways – in various forms – means it lends itself really well to the already limitless pursuit of candy making. Be sure to check out her shop on 1022 W Burnside St, Portland, OR 97209 and if you pick up Oregon Hazelnut-inspired candy be sure to tag @OregonHazelnuts and @quincandy in your post!